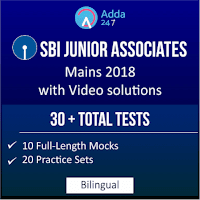 You all have a whole lot of opportunities lined up in the upcoming days with SBI PO, SBI Clerk, Bank of Baroda PO, IBPS RRB PO and Clerk and Other Banking & Insurance Exams. You all must leave no stone unturned in your preparations for these exams. Banking awareness is a common and important part of all these exams. Here is a list of various banks and their static facts which you must learn by heart as all these exams will definitely have a question from these facts. You must prepare these well for all the upcoming exams. All the Best for SBI PO/Clerk Mains!! !